I recently joined the SAA Museum Society. Myself and another member have taken on the task of sorting the collection of books,magazines and other items of interest in the museum's library. 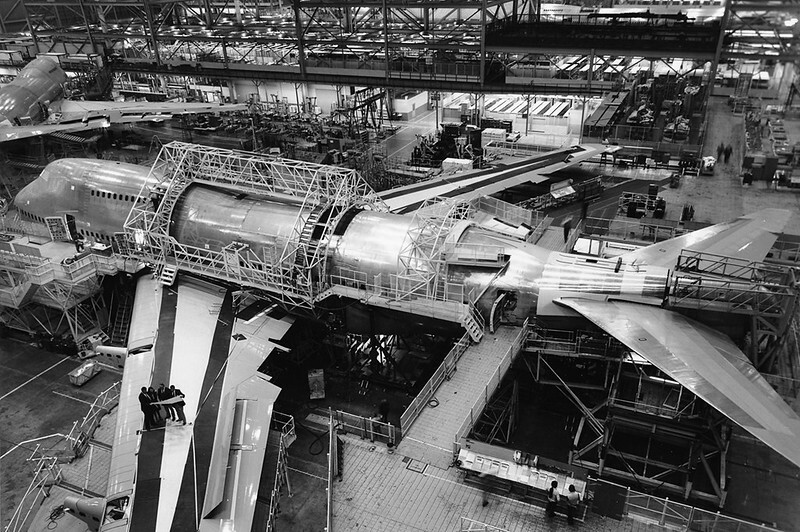 In this thread I intend to post some of the interesting pix that we find in the library's photo archive. 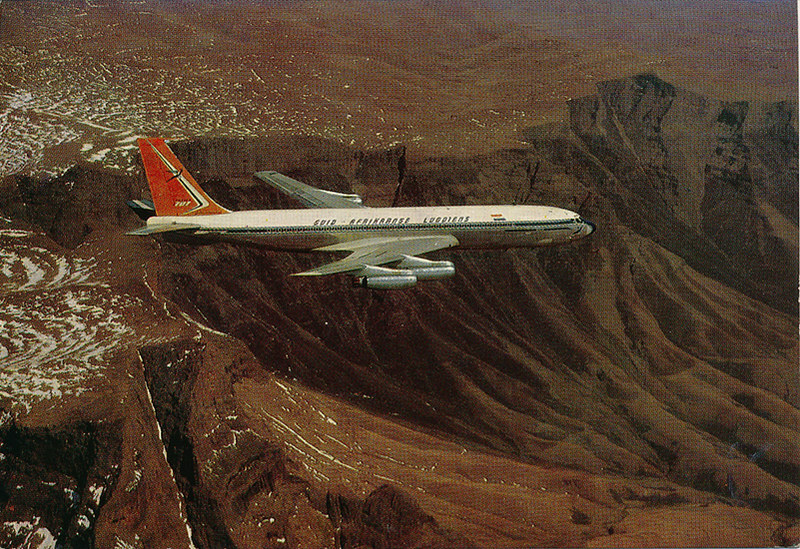 The first pic is a scan of a postcard showing an SAA Boeing 707 flying over snow capped mountains (probably the Drakensberg). 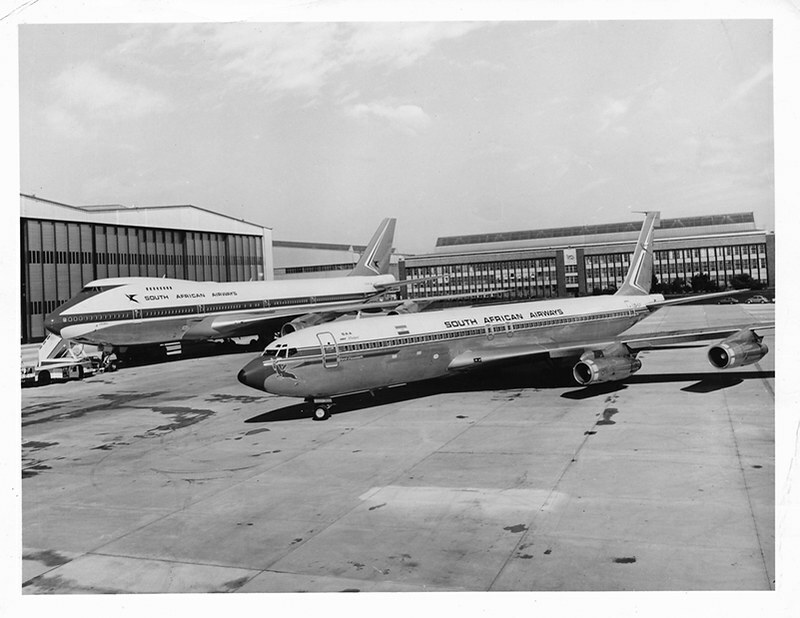 The postcard is not detailed enough to show the 707's registration. 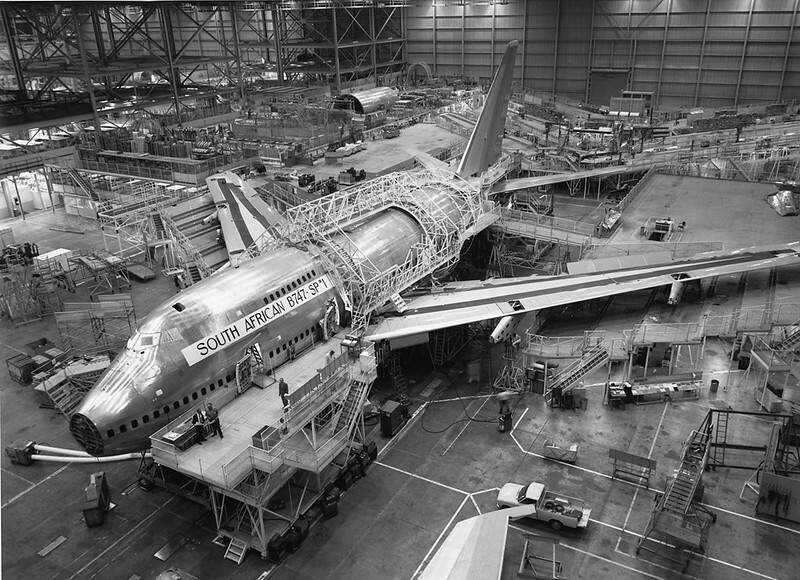 Some pix from the Boeing photo archive showing the first SAA Boeing 747SP under construction. 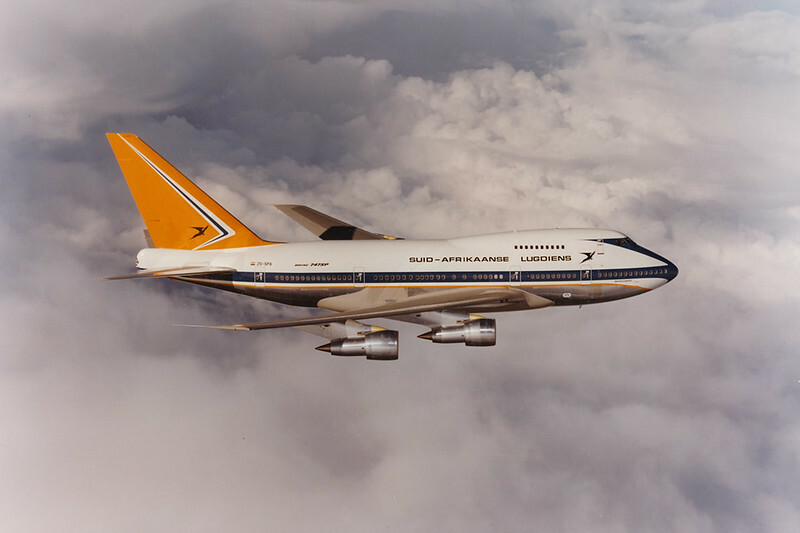 Also from the Boeing photo archive a lovely shot of SAA's Boeing 747SP ZS-SPA "Matroosberg"
This thread is going to get very interesting indeed. I look forward to seeing more. Thanks for the kind comments, Bruce and Ray. 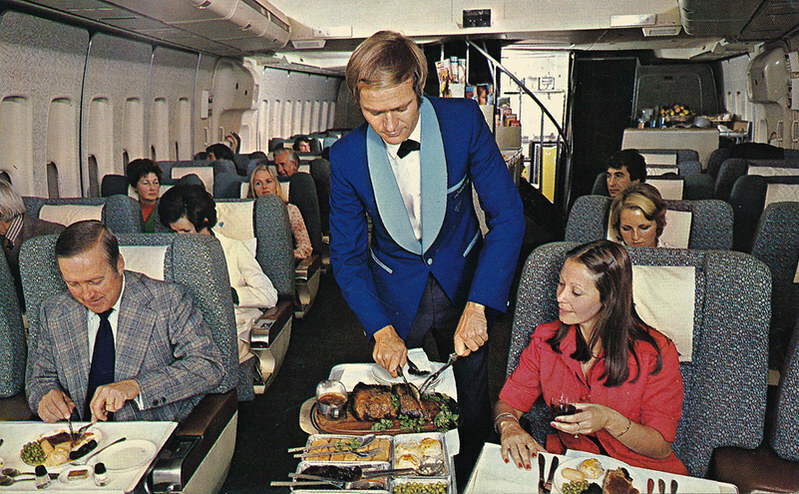 The pic that I post today is a scan of one of a series of postcards that was produced by SAA. 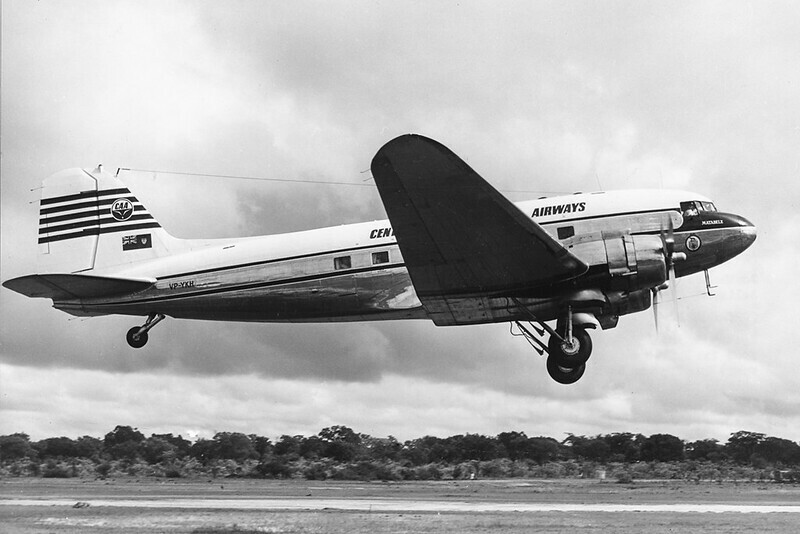 Douglas C-47B VP-YKH of Central African Airways. 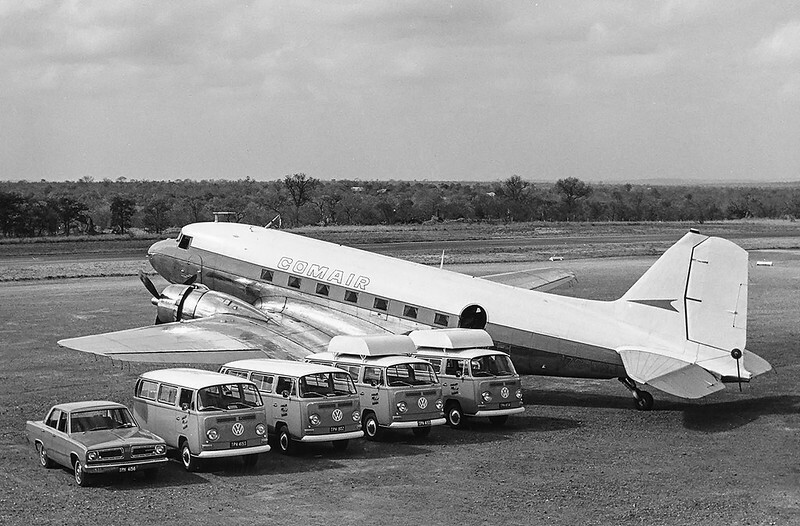 The Dak is taking off from the Wankie airstrip. Another scan of a rather damaged photograph of the same Dak. 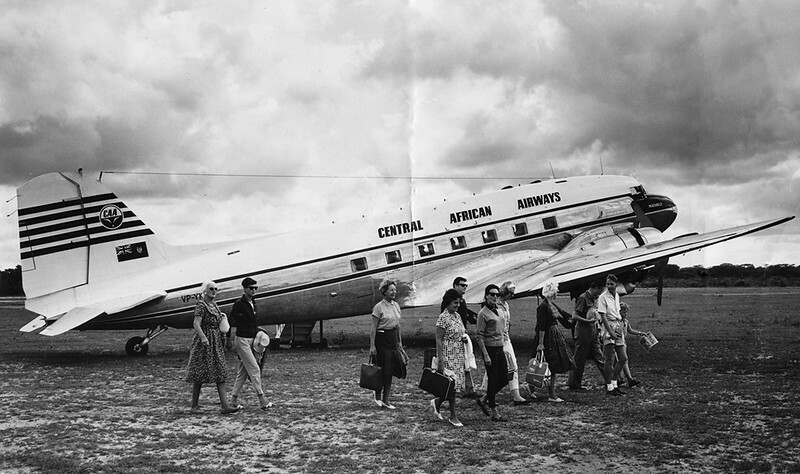 Holidaymakers arriving at the Wankie airstrip. 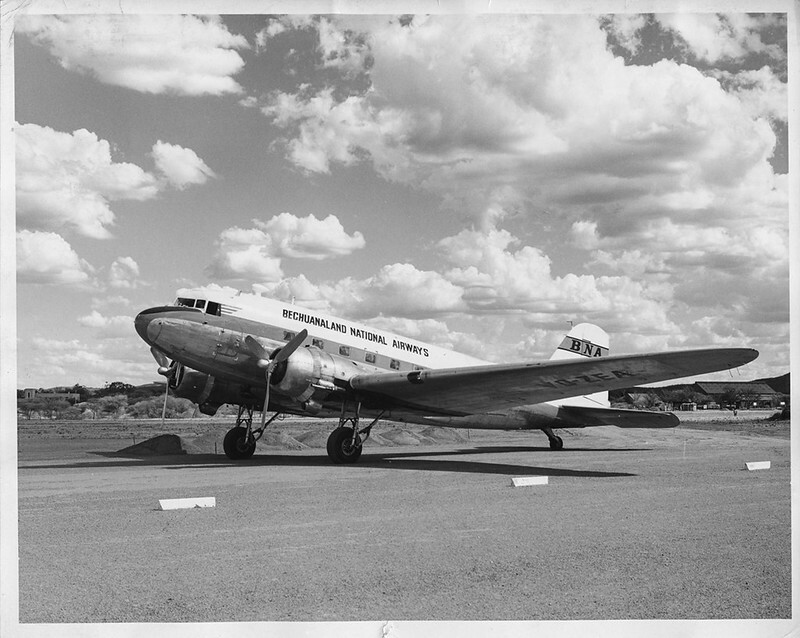 Douglas C-47B VQ-ZEA of Bechuanaland National Airways. 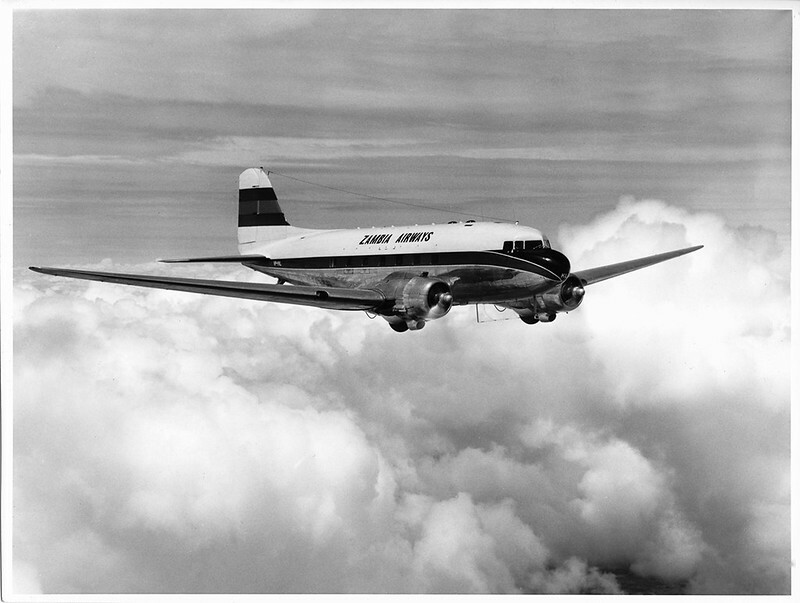 This pic was probably taken in the mid 1960's ; the plane is still flying today as DC-3-TP67 ZS-ASN. 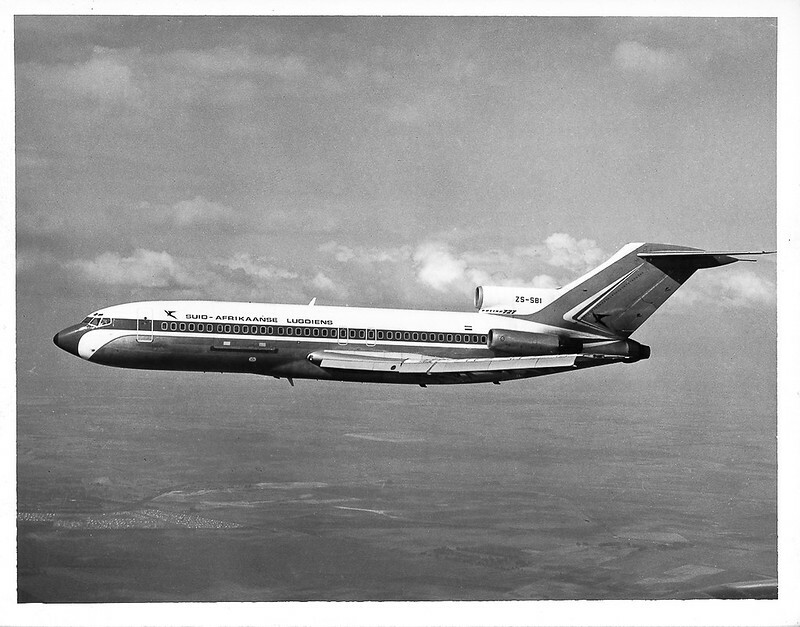 The well known Comair Dak ZS-DRJ. This plane was still around at Wonderboom last year , any more news of it current? 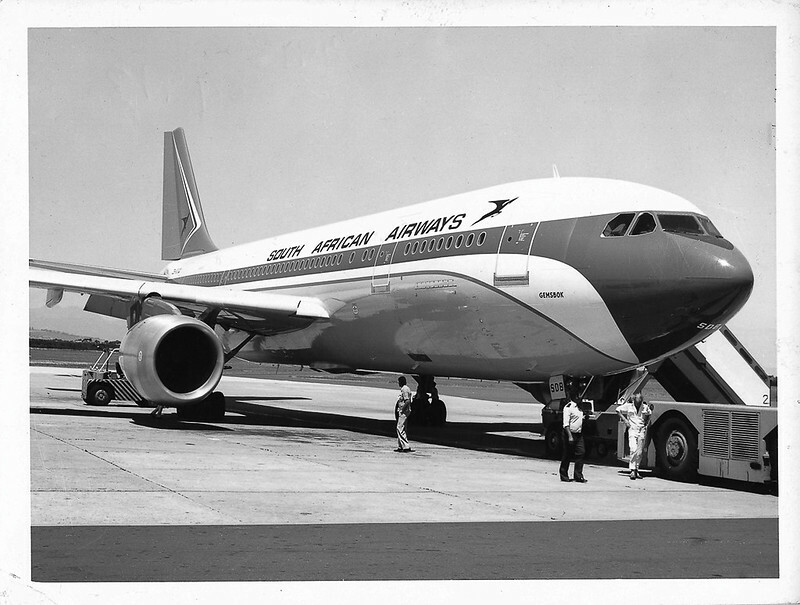 SBI was one of three combi's, with a large freight door, that SAA operated.